When everybody is keen on the same goal and ideas, time goes by so fast. When everybody is interested in getting results and producing high-quality equipment to customers, and many projects are already finished, the desire for new achievements moves us further. 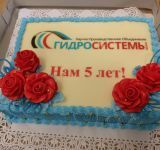 5 years anniversary is only a beginning for our ambitious young team. We are growing, developing and improving ourselves together with you. During 16-18 March, 2017 our company took part in the International engineering sourcing show IESS-VI in India (Chennai, Tamil Nadu state). 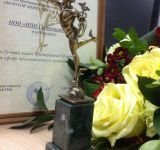 Our company won the competition organized by the Government of India to be a member of the international delegation consisting of more than 300 people from all around the world. 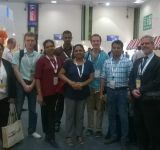 Under the terms of participation the Indian organizers paid us tickets and accommodation. 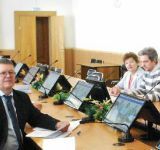 Our company participated actively in the official visit to Orenburg in the end of November, 2016. 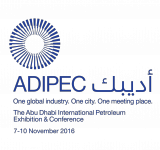 During 07-10 November, 2016 our company participated in the ADIPEC International petroleum exhibition which traditionally took part in Abu Dhabi, UAE. 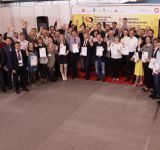 The Joint International Forum of Udmurtia (Business Bridge) and the annual business competition Gold Mercury took place in Izhevsk. 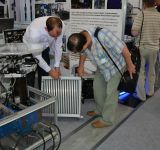 During 6-9 September, 2016 our company participated in the specialized trade fair in Izhevsk and demonstrated its latest projects and technologies. 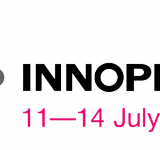 During 11-14 July, 2016 our company took part in the INNOPROM-2016 International Trade Fair which annually gathers the main Russian and foreign companies at one place. 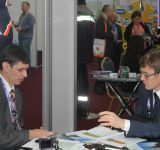 From 14 till 15 July our company takes place in the official visit to Ekaterinburg. During 11-14 July, 2016 our company takes part in the Main Industrial Trade Fair INNOPROM-2016 in Ekaterinburg, Russia. 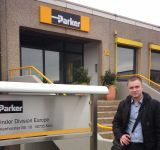 Our engineers were trained in Germany in the worldwide known company Parker Hannifin. 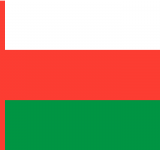 The keen demand for equipment and jet pump technology appears on the Arabian Peninsula thanks to the good results in this region. 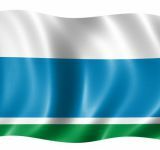 NPO Gidrosistemy company’s specialists took place in the conference “Prospects for cooperation between the Udmurt Republic and India” together with the Trade Representation of Russia in India.